When the wines of Bordeaux were classified in 1855 all of the wines were from the Left Bank of the Gironde River. In fact, with the exception of Haut Brion, which is from Graves, all of the wines classified were from the Medoc. Since that time, the winemaking areas of Bordeaux have greatly expanded. Some of the best wines in Bordeaux are now made on the Right Bank including some of the most expensive wines in the entire world. While there is no official classification system for all of Bordeaux, there can be no doubt that if such a system was implemented today, at least a few Right Bank wineries would make the list. Perhaps no winery deserves the mythical first growth of the Right Bank title more than Cheval Blanc. In fact, the wines of Saint Émilion, a commune on the Right Bank, were ranked in 1955 and Cheval Blanc was one of two that received the highest rank of Premier Grand Cru Classé (A). Those rankings were redone in 1969, 1986, and 1996 and most recently in 2006 (although that ranking is the subject of an ongoing legal dispute not relevant to Cheval Blanc) and Cheval Blanc has remained a First Growth in every subsequent ranking. Chateau Cheval Blanc is in Saint Émilion. Some people think it is a white wine due to its name, but it actually is French for Castle of the White Horse. No one is sure where this name originated. There have been vines covering the land since at least the mid 18th century. Chateau Cheval Blanc’s beginnings trace back to 1832 when the Ducasse family purchased land from Chateau Figeac. In fact, the early vintages were still labeled as Figeac. In 1838, the Ducasse purchased additional acreage from Figeac. The wine was successful from the start winning medals in London and Paris in 1862 and 1867 respectively (today’s label incorporates reproductions of those awards on them). Henriette Ducasse had married Jean Laussac-Fourcaud in 1852, and by 1871 Laussac-Fourcaud had increased the size of Cheval Blanc to 41 hectares (a little over 100 acres), its size today. Laussac-Fourcaud made many improvements to the estate including the building of the chateau and perhaps more importantly, installing vineyard drains. It was these drains, the first in Saint Émilion, that helped alleviate the constant threat of flooding. In 1893, their descendant Albert Fourcaud-Laussac (he reversed the order of his last name) took over the estate. The great vintages of 1900 and 1921 were made under his leadership and were some of the first Right Bank wines to garner world attention. The Chateau also reorganized from a family business into corporate structure (called Société Civile) which allowed the family to avoid estate taxes and maintain control. The family remained in control until 1998 when it was sold to Bernard Arnault, the chairman of LVMH luxury goods, and Albert Frere. Pierre Lurton was appointed as the general manager. Pierre Lurton also manages Chateau d’Yquem. 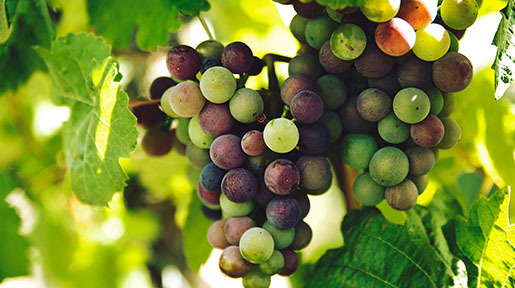 Whereas most Right Bank vineyards are dominated by merlot, Cheval Blanc’’s vineyards are mostly cabernet franc (57%) with merlot (40%) and the remainder cabernet sauvignon and malbec. 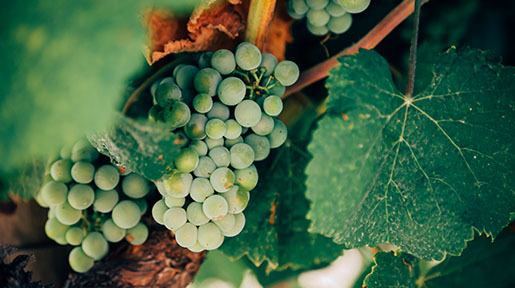 An average vintage produces around 6000 cases. They also produce about 2,000 cases of a second wine called Le Petit Cheval. There are three basic soil types. A small part of the vineyard is on gravelly soil. A larger portion is on sand and clay. This area is mostly on blue clay, but a fraction is over natural iron deposits. As you might expect, vineyard maintenance is meticulous. The vines average over forty years old. Some of the estate borders the commune of Pomerol (across the road from Chateau L’Evangile). The grapes go thru a rigorous selection (between 35 and 40 hectoliters per hectare) before being fermented in concrete and stainless steel vats. Each vineyard plot is fermented separately. Once the wine is thru malolactic fermentation, the wine is aged in 100% new French oak for 18 months. The Le Petit will see one year of barrel ageing. There are many famous stories that surround Cheval Blanc. The famed wine critic Robert Parker reviewed the 1981 vintage in barrel and gave it very average scores. It should be noted that at that time, Robert Parker had not yet achieved the level of fame he enjoys today. When Parker returned to the estate, the dog of Jacques Hebrard (the estate manager), attacked Parker while Hebrard stood by watching. When Parker asked for a bandage, he was given a copy of Parker’s newsletter containing the unpleasant review. To Parker’s credit, he did eventually upgrade his review of the wine (scoring it 90 points) finding that once it was in bottle it had fleshed out a bit. In the movie Sideways, the lead character Miles, who professes himself as an expert on wines is derisive, during the course of the movie, about two different grape varietals: Cabernet Franc and Merlot. Throughout the movie, however, he talks of his prized wine, a 1961 Cheval Blanc (spoiler alert - he finally consumes the bottle from a paper cup at a burger joint). The irony is that Cheval Blanc is a blend of Cabernet Franc and Merlot. Cheval Blanc also deserves mythical status because there may be no more legendary wine ever made than the 1947 Cheval Blanc. There are great vintages made of great wines from Burgundy, Napa and elsewhere around the world, but for many wine aficionados there is probably no more iconic wine, no wine that tops wish lists and indeed, lists of the greatest wine ever made, than that particular wine. The above mentioned Robert Parker has described it as the best wine he has ever had. The post war years (at least the odd numbered ones) were very good to Bordeaux and Cheval Blanc. The vintages of 1945, 1947 and 1949 were exceptional. The middle vintage was particularly outstanding in Saint Émilion. The months of July and August were blazing hot. September was quite warm. The grapes began to raisin on the vine. This was before the advent of modern winemaking equipment and many wineries had a difficult time getting their wine to ferment dry as there was too much sugar in the grapes. That resulted in high alcohol levels because the yeasts were killed off before they finished fermenting the wine dry. The resulting wine was left with sugar and a high level of volatile acidity. For Cheval Blanc, the wine was almost Port-like and quite controversial. Traditional Bordeaux drinkers found it undrinkable on release due to the high levels of volatile acidity (which manifests itself with the scent of finger nail polish) and sweet quality. The wine was also very low in actual acidity making most people think it would not be long lived. The high alcohol levels were more akin to today’s Napa Valley cabernet’s than traditional Bordeaux. Yet, somehow this wine came together over the years. It indeed has aged well and is just now, at age 60+ years, starting to fade. I should interject that I have never had the wine and I am relying on the comments of countless others. It should be noted that the 1947 Cheval Blanc is still available in the market place. For somewhere around $3,000 you can try for yourself. Maybe. It also is a fact that this is one of the most counterfeited wines in the market place. One anecdote says that each year Las Vegas sells more 1947 Cheval Blanc than was produced. I do not know if this is true, but I know of fake bottles or bottles that have been refilled with other wine. How much of the legitimate wine is still out there is anyone’s guess, so buyers beware. For those inclined to buy a bottle, even in lesser years, it is expensive. The most recently released futures pricing for the 2009 is around $1,000 per bottle. The excellent 2005 vintage will set you back about $800 per bottle. Perhaps the best bang for the buck would be the outstanding 1999, which can be found for around $300 a bottle. Is it worth it? That depends on your personal finances. For my budget, I don’t think I will be buying the wine any longer. Oh, and if Miles wanted to replace his treasured 1961 bottle, it can still be found for around $2,000 per bottle. If anyone was looking for a gift idea for the wine collector who has everything, the 1921 vintage, can be found for around $12,000 per bottle. I have been lucky enough to try many of the vintages in the last 25 years including the stellar 1990 and 2000 vintages which both sell for around $1,000 per bottle. When Cheval Blanc is on, it is a unique and phenomenal bottle of wine. The Cab Franc/Merlot blend is truly unique in the wine world. The wine is so smooth and yet so complex, it truly is deserving of being considered a First Growth. If you do get a chance to try Cheval Blanc, enjoy the experience. I would love to hear what you think. When I think of wine that is interesting, unique, obscure, high-value, and small-production, I think of Borgueil – the small wine region in France’s Loire Valley that produces almost exclusively Cabernet Franc.